ONLINE REGISTRATION FOR THIS EVENT WILL CLOSE ON SATURDAY 13TH APRIL AT 15.00. REGISTRATION AVAILABLE AT Dromina Community Hall. ON SATURDAY 13TH FROM 4pm – 6pm AND ON SUNDAY FROM 09.00 – 11.15AM. 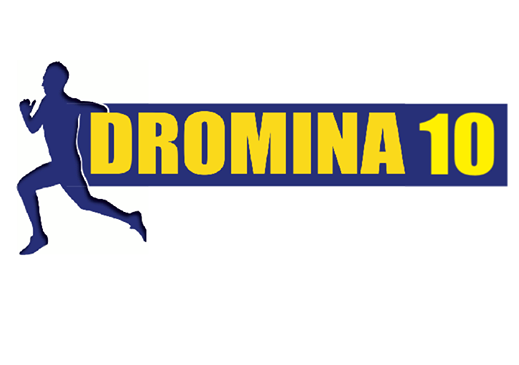 The Dromina 10 Mile Road Race returns on Sunday 14th April 2019. This year there are two distances 10 mile and 10k. The race will be started by olympic athlete record holder Mr. Jerry Kiernan. Early bird rate available for first 100 athletes €20 (excl. booking fee). €25 (plus fees) online registration. 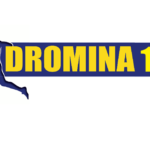 Post race refreshments and prize giving ceremony will be held in the Community centre afterwards with memorabilia from previous Dromina 10 races. Top prize will go to any participant who manages to beat Jerry Kiernan’s course time (46.39 – 10 mile). All proceeds go to Dromina Community for community projects. The Race HQ for the race is Dromina Community Hall. Race day registration available - €30, online registration number collection and t-shirt collection can be done on Sunday between 9am – 11.15am. The race number should be worn to the front chest area only. Numbers are Non-Transferable, and would appreciate your cooperation in this regard. You can collect your t-shirt in the Registration Hall before the race. Sizes available are S, M, L, & XL but please understand that we may run out of some sizes (no XS in this t-shirt). Both the 10mile and 10k are chip timed. The timing chip is already attached to your race number. Please DO NOT FOLD YOUR NUMBER, THIS WILL HARM THE TIMING CHIP. Any issues, please contact the pre-registrations desk in Race HQ on the day. Available in the GAA grounds and the Community Centre. Start time for 10 mile is 12 noon sharp. Start line is approx. 1.2km from the Community Centre. Turn right for the start line. Please allow yourself enough time to get to the start line. Start time for 10k is 12.30pm sharp. Start line is approx. 1km from the Community Centre. Turn left for the start line. Please allow yourself enough time to get to the start line. Note: There will be no road closures. Kindly follow stewards instructions at all times. Results will be posted on our social media pages and Popup Races immediately after the race. When you cross the finish line, your goodie bags will be available for collection. One goodie bag per person only. Refreshments will be available immediately after the race in Race HQ. All welcome. On the 10 mile route, there will be 2 water stops. 1st at approx. 3 miles, 2nd at approx. 7.5 mile mark. On the 10k route, there will be 1 water stop at approx. 6k mark. Parking will be available in the Dromina GAA grounds. Please ensure to park responsibly and not to block private entrances and to obey the stewards and Gardai in this matter at all times. Remember to obey the stewards at all times. It is up to each individual runner to take responsibility for their own behavior. The use of MP3 players, iPod, headphones is not permissible. There are no road closures during this race so for your own safety all runners need to adhere to this regulation.